A lot of relocatable homes have a shallow roof pitch – what is the roof pitch of your homes? Please note depending on the width of your new home the roof may have to be folded down for transport to be within the Vic Roads regulations for transport. If this be so, we will price accordingly and can advise when going through a Design Build Proposal request. Are the homes fully insulated? Can I build a home only to Lock Up Stage? Yes at Swanbuild you can have your home built to whatever stage you would require. We have more information on Lock up homes in this link. Can I supply anything to go in the home, i.e. Kitchen Appliances, Kitchen, Tiling? Yes, at Swanbuild we are flexible, if there is anything that you would like to supply yourself we will simply deduct the cost of the standard item out of your pricing for you. We regularly have clients who are in the trade and would like to do their own Electrical / Joinery / Painting etc. If you are in the trade or have a friend who is, we are more than happy to work with you to save you a dollar or two. Can Swanbuild apply for a planning permit on my behalf? Yes we can undertake the application for, and follow through to issue of, your planning permit on your behalf. There is a small additional cost for this service. Can Swanbuild build on sloping sites? Yes, with the steel chassis of a Swanbuild Home there is no problem with a sloping site, the home is simply craned onto the footings on site. For more information on Sloping/Elevated sites view this link. Can the Verandah have Concrete base rather than timber Decking? Yes! If you wish to have Concrete in lieu of Timber Decking to the Verandah, we can certainly do this. Price on application. Do you have a package for Disabled Clients? How do I know if I need a planning permit? Your local council will advise whether or not you need a planning permit. They will take into account heritage factors, the size of your block and the size of the home you are planning to have built. I have my own plan and would like Swanbuild to build it for me. Will you build to my Design? Absolutely, Swanbuild are specialists in custom designs. Obviously the design will have to be suited to a relocatable building (unless built on site). 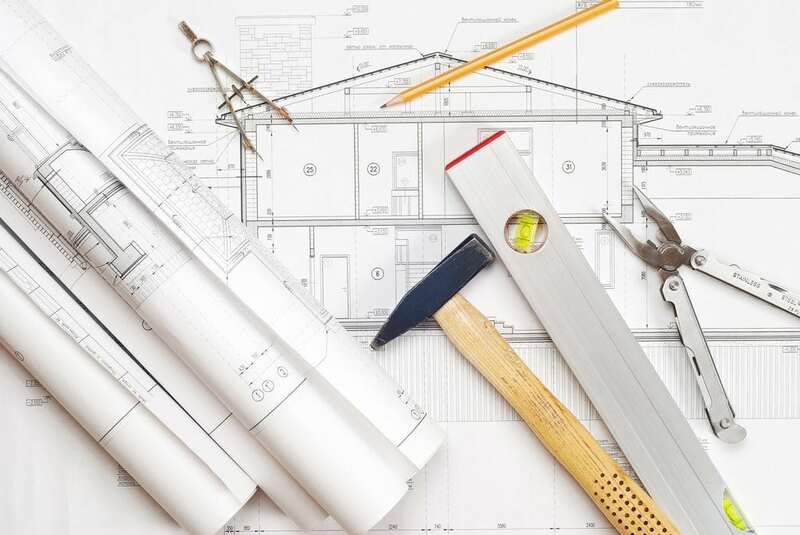 During the design process, our specialist may have to make slight alterations to the plan, to make it suitable to be built in the factory and transported to site however, we are more than happy to work through the plan with you to make sure you get your new home how you want. My land is in a flood prone area. What height can the homes be built to? Swanbuild homes can be built anywhere up to a floor height of 2.7 metres. Homes at this height would need supports under the home but is ideal to having parking space under the home. We like high Ceilings. How high can we build? What Claddings do you have available? The standard Cladding’s are Old Style Hardiplank and Rusticated Hardiplank. There are many other optional cladding’s available these include but are not limited to: Blue Board Rendered finish, Masterwall Rendered finish, Corrugated Iron, Vinyl Cladding, Western Red Cedar, Hoobler Stone. There are many other options available. If there is a particular cladding that you would prefer to use simply mention it and we would be more than happy to research pricing for you. What is a Fold Down Roof? A fold down roof is a design that we have created to enable us to build relocatable homes with a steeper roof pitch. With the transport regulations we are not able to build a home that will be higher than 5.0m overall when on the transport vehicle. Therefore the whole roof hinges flat for transport and is craned up again once on site. What is a Site Classification? Australian standard 2870/1996, allocates different classifications to the various foundation types found in Australia, in particular. It provides details and designs for reactive clay sites which can cause damage to buildings by swelling and shrinking under different moisture conditions. Table 2.1 in the Australian Standard provides a description of the various soil classifications. Different Classes for soil conditions. A Most sand and rock sites, with little or no ground movement from water changes. S Slightly reactive clay sites, with only slight ground movement from moisture changes. M Moderately reactive clay or silt sites which can experience moderate ground movement from moisture changes. H Highly reactive clay sites, which can experience high ground movement from moisture changes. E Extremely reactive sites, which can experience extreme ground movement from moisture changes. P Sites which include soft soils, such as soft clay or silt or loose sands, landslips, mine subsistence, collapsing soils, soils subject to erosion, reactive sites subject to abnormal moisture conditions or sites which cannot be classified otherwise. Initially there is a $2,700 Plans and approvals pack which gets your New Home started and in the building schedule for more details view this link. Final balance on handover once all finishing details are complete! What Site preparations are required? If your site is relatively level, we recommend to put in 300mm of compacted fill. This will eliminate any pooling of water under your new home and therefore give your footings ultimate soil condition. If you have a sloping site there is no need to put in additional fill as any water will not pool under the home and will move away from the site which is ideal. Where can a Swanbuild home be Built? Swanbuild is registered to build homes in Victoria, New South Wales and South Australia. For more information on this please phone us on 1800 008 024 From Monday to Friday 7:00am until 4:30pm. Where can I see a Swanbuild Home? Swanbuild have two Displays at 210-214 Karinie Street, Swan Hill VIC. If you book ahead when you come, we can give you a personal guided tour of our manufacturing plant to show you the building process. This is a great way to see the detail that goes into each home and give you a full view of the strength of the building. We do require 48 hours notice due to OHS commitments. To see homes that we have displayed in the past view this link. Who is liable for any delivery damage? Whilst your home is being delivered, it is all covered by an appropriate insurance policy. In the unlikely event of delivery damage, this would all be covered and rectified by Swanbuild. Who will I get to lodge a building permit? At Swanbuild we can do all your council building applications for you! We have trained personnel who are ready to lodge your application through council – this makes building a Swanbuild home relaxing and enjoyable! Are prefabricated homes constructed to the same quality as regular on-site builds? Yes, our prefabricated homes are built to meet and in many cases exceed the same building standards that apply to traditional builders. In fact, all our homes are independently inspected by a qualified architect to provide complete construction quality assurance. Click here to find out more about our quality guarantee. Can Swanbuild help me with my home finance needs? Yes. If you don’t have a preferred financier who will provide you with home finance, Swanbuild will provide excellent finance contacts that can save you from needless time waste and/or worry. When you have secured long term finance pre-approval, Swanbuild can offer bridging finance to fund the build, and transfer this to your pre-approved loan facility once the modules are installed on site. Is a Swanbuild home a kit home? No. Swanbuild are licenced builders of modular homes. A kit home supplier provides the materials for a home to be built to a plan. Swanbuild provides the materials and builds the modular home in our production plant and transports it to site in two or more modules, and installs it securely to our substantial poured concrete footings. Swanbuild will normally complete the home to the level required to secure your occupancy permit and provide you with a full Australian home warranty. Are Swanbuild homes eligible for the First Home Buyers grant? Yes. Our homes are certainly eligible for the First Home Buyers grant, for fully qualified clients.